The most user-friendly and affordable inventory control software on the market. 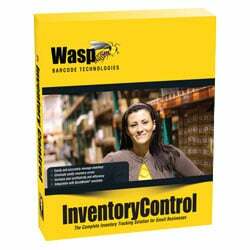 Straight-forward design and 50 pre-built reports make the Wasp Inventory Control Software package easy to use and extremely efficient. Track location, check items in and out, print barcode labels, and exchange data with external programs - Wasp Inventory Control Software has everything you need. Customize forms and reports - no programming needed! The Wasp 633808342050 is also known as Wasp Bar Code	633808342050	.